Hey everybody, it's Truffles! I've had to spend some time administering a bit of purr therapy to Mommy this week. She read our friend Deb Barnes (of Zee & Zoey) new book, Purr Prints of the Heart: A Cat's Tale of Life, Death, and Beyond, and it brought back so many memories of Angel Tara. 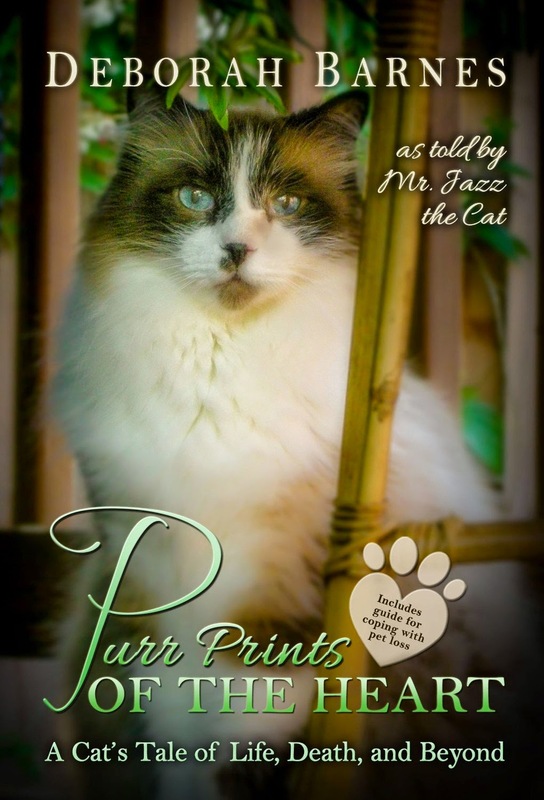 Mr. Jazz, the voice behind the book, and Tara both went to the Rainbow Bridge the same summer, only 7 weeks apart. They were both sick for a long time and while reading about Mr. Jazz's final days, Mommy felt like she was reliving her last days with Tara. Needless to say, many tears have been shed. If you've ever loved and lost a beloved pet, you owe it to yourself to read this book. Because of the emotions the book stirred up, Mommy was inspired to make Tara the subject of our Caturday Art this week. Tara left her purr and paw prints all over Mommy's heart, but thankfully it's big enough that there's plenty of room in there for me too! So excited! You're first. My review copy is late but I read an early version and like you felt weepy. It's a touching story everyone who has loved and lost a cat can relate to. Beautiful art and the book sounds like a nice tribute to a beloved kitty. So beautiful! Well done for taking care of your Mom. Touching post and beautiful art. Such great art and Deb’s book cover is gorgeous. She told me she designed it herself. TW better not read it after how she cried posting about Nicky. What a beautiful memorial for Tara. You gave a great review for Deb's book. I would really like to get a copy and read it when I feel stronger. Thanks for sharing your opinions. Beautiful! The book sounds like it must have been very touching. Oh such a lovely LOVELY photo, and a beautiful way to remember Tara, too! 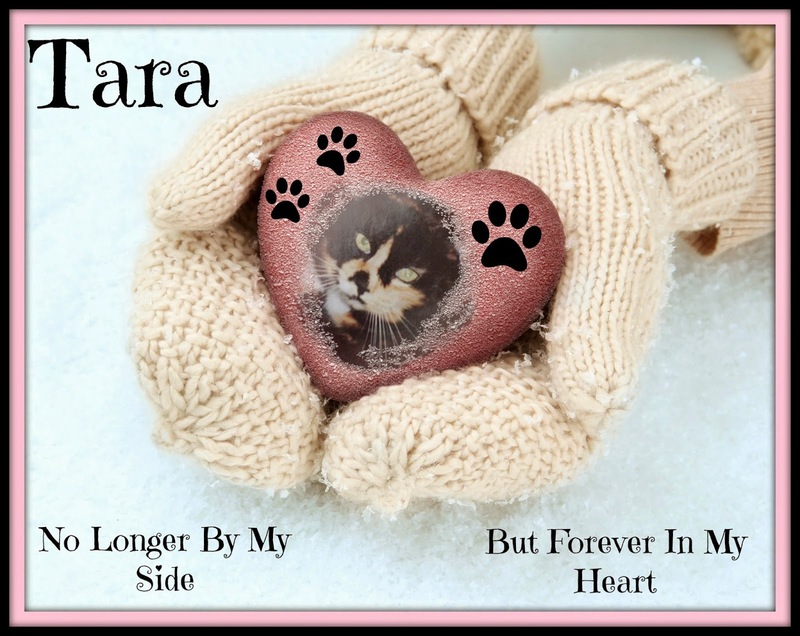 Love this Caturday art photo of Tara, so special! We adored Deb's book and I was so honored to be able to provide a cover quote. Will be reviewing it later on. Love your artwork! That is a beautiful piece of art work and full of special meaning. I'm loving Deb's book too.